Flip it over and the whole process starts again. The gently falling sand and glitter soothes and calms you as you watch. Sand/water sit within a glass enclosure. 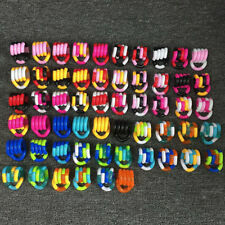 1 x Tangle ADHD Autism Toy. 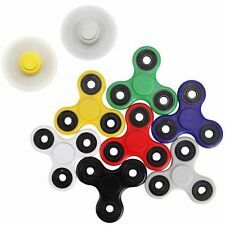 -Great For Fidgety Hands, ADD & ADHD Sufferers. 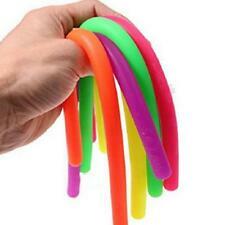 -Tangles are a great manipulative toy that stimulates the brain and can build finger dexterity. -Age Range : >3 years old. -Material : PVC. Great For Fidgety Hands, ADD & ADHD Sufferers. 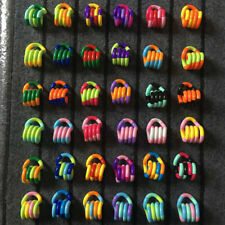 1 x Tangle ADHD Autism Toy. 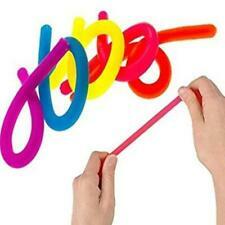 -Tangles are a great manipulative toy that stimulates the brain and can build finger dexterity. -Age Range : >3 years old. We will try our best to solve problem for you asap. Trending at C $2.24eBay determines this price through a machine-learned model of the product's sale prices within the last 90 days. Uses: Decompression artifacts, vent, dispatch. Note: Children under 3 years of age are required to use under adult supervision. You can follow below process to chontact us. Weight: 30g. Import Duties. SILENT YET SATISFYING: Perfect for hours and hours of non-distracting and silent fidgeting. We're only happy if you're happy. 2pc The kneaded erasers can pull and twist like taffy to create a clean eraser surface, and they don't leave behind eraser crumbs. Stretch, squeeze and squish ‘em–again and again! This tool is great for silent classroom fidgeting, too! Your child will love the feel of this flexible and stretchy spiky glove. The spiky glove is made of a soft stretchy non-toxic material that is fun to manipulate and touch. Item Type:Tangle Spin Toy. Tangles are a great manipulative toy that stimulates the brain and can build finger dexterity. But color and brightness may differ a little due to different computer monitors or other factors. This Squigglet puffer is wild, bold and a little crazy--plus it's really fun to wear. Pull, stretch, squeeze and fidget with this cool stress relief accessory. Flip it over and the whole process starts again. The gently falling sand and glitter soothes and calms you as you watch. Available in pink, yellow, blue and green. The octopus has a jelly filled body and a bunch of stretchable tentacles, so it's fun to squish, squeeze and stretch. 5" if you include "tentacles" the total length is approx. Trending at C $7.81eBay determines this price through a machine-learned model of the product's sale prices within the last 90 days. Simply squeeze and enjoy the visual effects of this liquid filled ball. 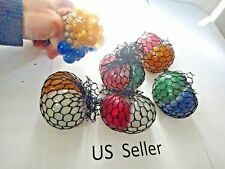 The netting that surrounds the ball creates a bubble-like texture and makes a unique stress reliever or fidget toy. Filled with a non-toxic gel. Stretch and push the banana slugs through the holes in the banana. One stretch banana and two cute little banana slugs included. Trending at C $8.08eBay determines this price through a machine-learned model of the product's sale prices within the last 90 days. Tangle Rubberized & Textured Fidget Toy. Type: Fidget Toy. Includes: 1 Tangle. Manipulate the happy face spheres which move together inside a clear cover. Receive 1. Massage is a wonderful tool to use in working with the nervous system. It stimulates the central nervous system via the peripheral nerves in the skin. This stimulates the autonomic nervous system. BENDEEZ are made of a flexible non-toxic rubber with a soft texture allowing them to bend into any shape imaginable! Various colors available as shown. 6" size realistic heart made of soft material. Throw it or just give it a squeeze. 1PC x Fidget Spinner. material: Aluminium Alloy. Using SLA technology, laser industrial molding technology. How to Use. Then turn it right-side up and watch as the it erupts before your eyes or simply shake it and watch the beads swirl around and around. A great visual sensory tool. 5" squeezable banana is a handful of squishy beady fun. (orbeez like). 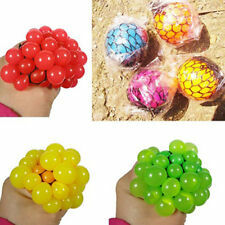 Squeeze, squish, the unique combination of gel and beads makes this water bead squeeze fruit tress ball an amazing tactile experience. 160 Photographic Toy Cards. 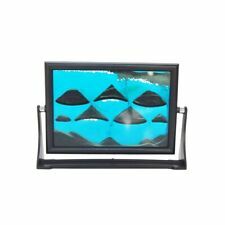 The board has a large Velcro space, so your child can place one or more of the photographic cards contained with the set. As each task is completed, the cards can be removed and placed back into the button wallet provided. 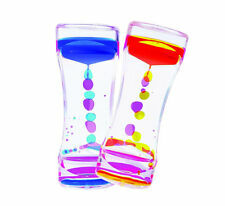 This colorful butterfly print water wiggler is filled with glitter. This ooze tube provides a calming sense and anxiety relief, perfect for your desk, classroom or travel. Watch as the contents of "molasses" like substance moves from chamber to chamber. Clear acrylic filled with non-toxic ooze. Fish, octopi, starfish and oysters inhabit this bubbly little aquarium. A visual sensation. Just flip this bubble operated aquarium over and watch the small, colorful plastic toys within rise and fall in a flurry of bubbles. Manipulate the bright colorful spheres which move together inside a clear cover.